Atlas International travel insurance increases acute pre-existing cover for Good Neighbor Insurance international insurance brokerage firm. This is very exciting news to share with our clients here at Good Neighbor Insurance in Phoenix Metro, Arizona. Since 1997, when we started, we have always searched high and low for top-end international insurance plans for our guests, you! 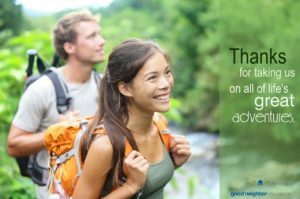 We provide a lot of travel medical insurance options for you here at https://www.gninsurance.com/international-travel-health-insurance-plans/. We have been begging, literally, for our international insurance carriers to provide stronger overseas benefits for all of our clients. Well, one of those sincere pleading and begging meetings has paid off I am happy to say. Our team members here at Good Neighbor Insurance strive to serve our clients, you! Our three main core values are (1) concern for the world, (2) “second – mile service” (this includes begging for better benefits to the international insurance carriers , and (3) protecting clients (which means, especially for the owner [me] to really beg our international carriers). So we love begging on behalf of your current and future clients. It is our responsibility and duty to make sure we provide you all with the best (and better) international insurance plans that you deserve. So back to our Atlas International plan! What does acute pre-existing condition mean? Well, here is one definition – a sudden or unexpected occurrence of these pre-existing medical conditions without any prior warning from a medical professional (this is the basic definition but will vary by different words on each insurance brochure). Thus, if one purchases one of these three medical maximum options out of many others, the policyholder will have stronger acute onset of pre-existing medical conditions covered. Here is other updated information on the other benefits that the Atlas International plan has set up for 2015!